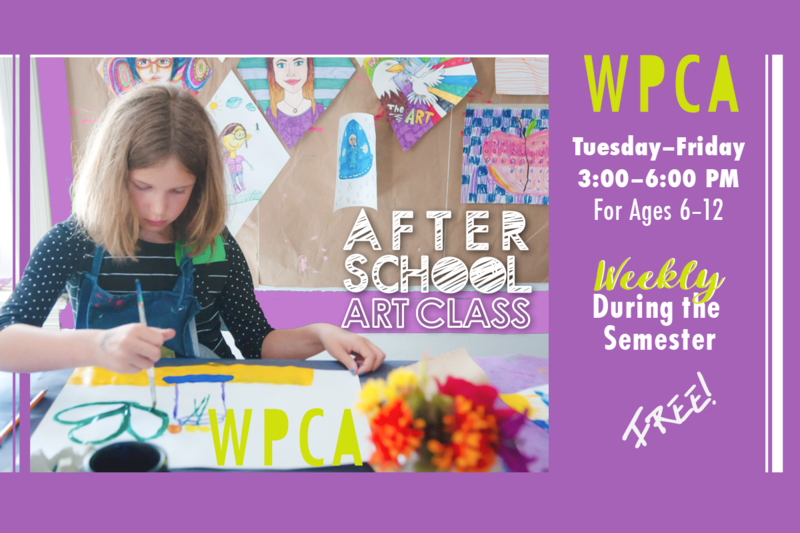 After School Art Class is WPCA’s project-based after-school programming during the semester. Classes run weekly, Tuesday–Friday. All sessions are FREE and open to all students ages 6–12. After School Art Class sessions are fun, creative and encourage progression and achievement. Weekly projects help students learn new skills, build on existing ones and explore creative strengths. Students are encouraged to come for all sessions throughout the semester, but drop-ins are also welcome! Although not required for each After School Art Class session, parents/guardians are required to fill out an Emergency Contact Form for each academic school year. The form must be filled out before/during drop-off for the first time. Click HERE to fill out the form.